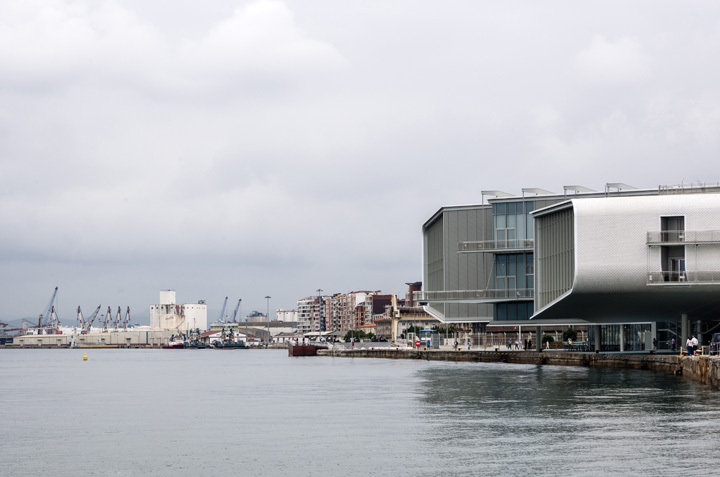 The Centro Botín is an arts centre designed by Pritzker Prize-winner architect Renzo Piano, in co-authorship with luis vidal + architects. 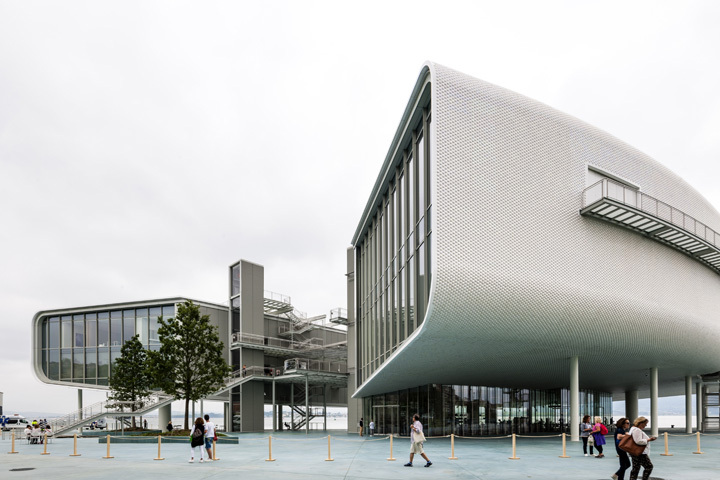 It is located in a privileged part of Santander and uses a broader urban intervention to integrate the city centre and the historic Pereda Gardens with the Bay. The building has a total built-up area spanning 8,739 m², which is made up of two blocks, connected by a structure of squares and the walkways known as – “the pachinko”. 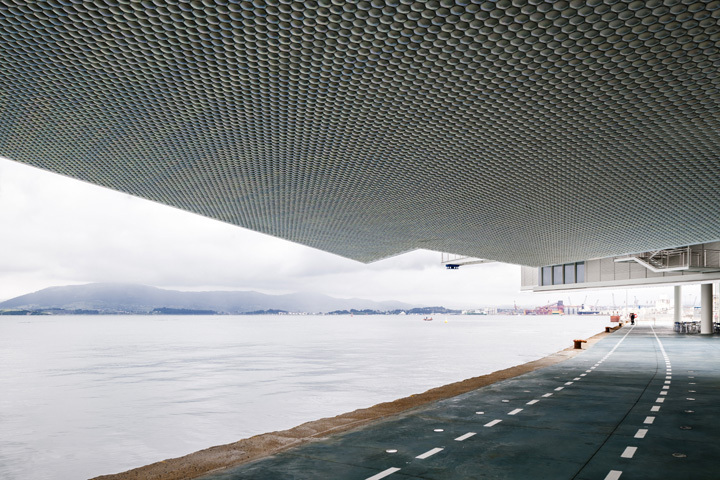 The west block is dedicated to art, with two exhibition rooms measuring a total of 2,500 m2; and the east block is for cultural and educational activities, boasting an auditorium for 300 people, classrooms, work spaces, and a rooftop terrace to enjoy the breathtaking views of Santander and its Bay. Exterior view of platforms and tensile structures looking towards the sea. Centro Botín, Santander, Spain. Architect: Renzo Piano Building Workshop , 2017. Figures standing on one of the platforms. Centro Botín, Santander, Spain. 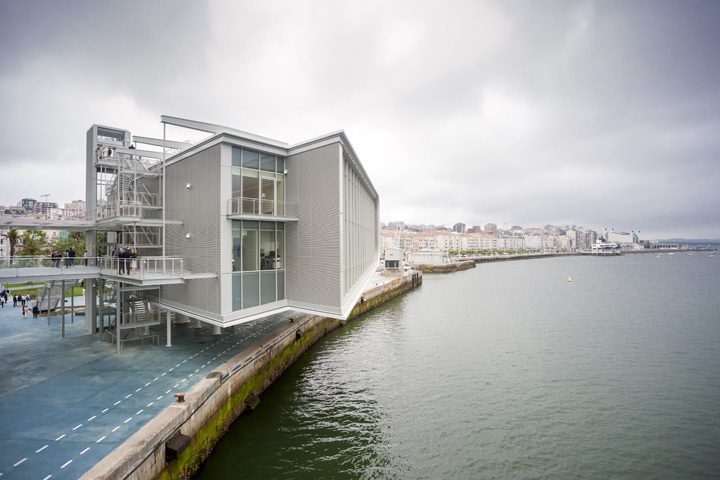 Architect: Renzo Piano Building Workshop , 2017. Close up of ceramic cladding. Centro Botín, Santander, Spain. 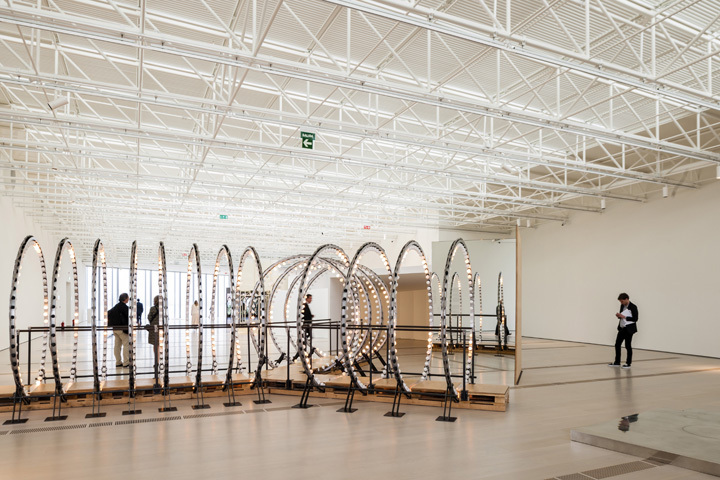 Architect: Renzo Piano Building Workshop , 2017. Side elevation. Centro Botín, Santander, Spain. Architect: Renzo Piano Building Workshop , 2017. Exhibition gallery with display of artwork. Centro Botín, Santander, Spain. Architect: Renzo Piano Building Workshop , 2017. Catering satff and police walk around the museum before the scheduled opening. Centro Botín, Santander, Spain. 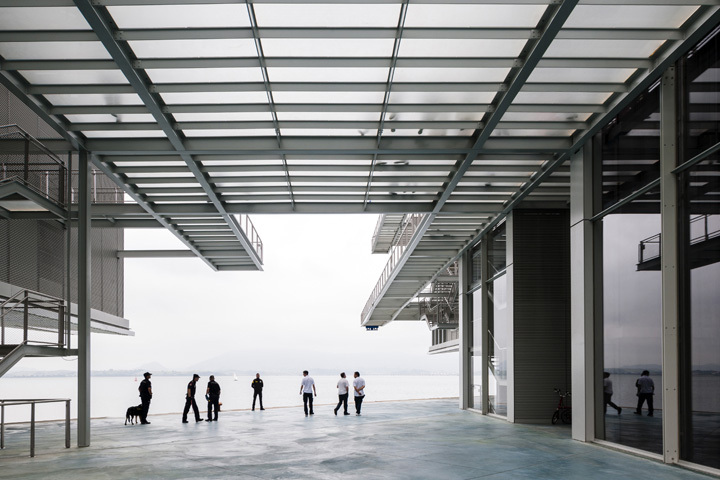 Architect: Renzo Piano Building Workshop , 2017. 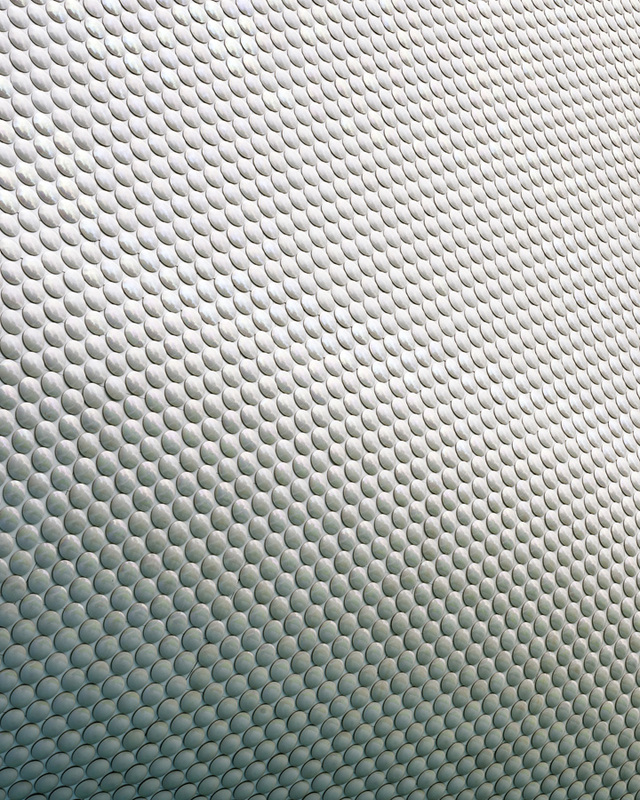 Close up of ceramic cladding manufactured by Ceramica Cumella. Centro Botín, Santander, Spain. Architect: Renzo Piano Building Workshop , 2017. Distant view with dock area. Centro Botín, Santander, Spain. Architect: Renzo Piano Building Workshop , 2017. 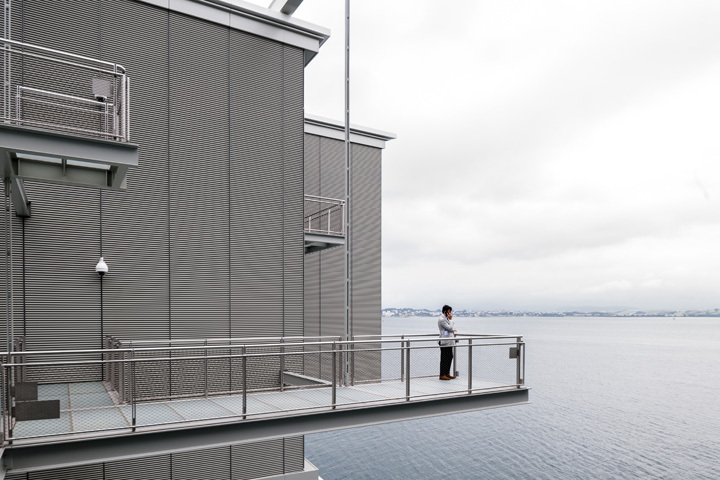 Exteriors platforms and walkways cantilevered over the sea. Centro Botín, Santander, Spain. Architect: Renzo Piano Building Workshop , 2017. 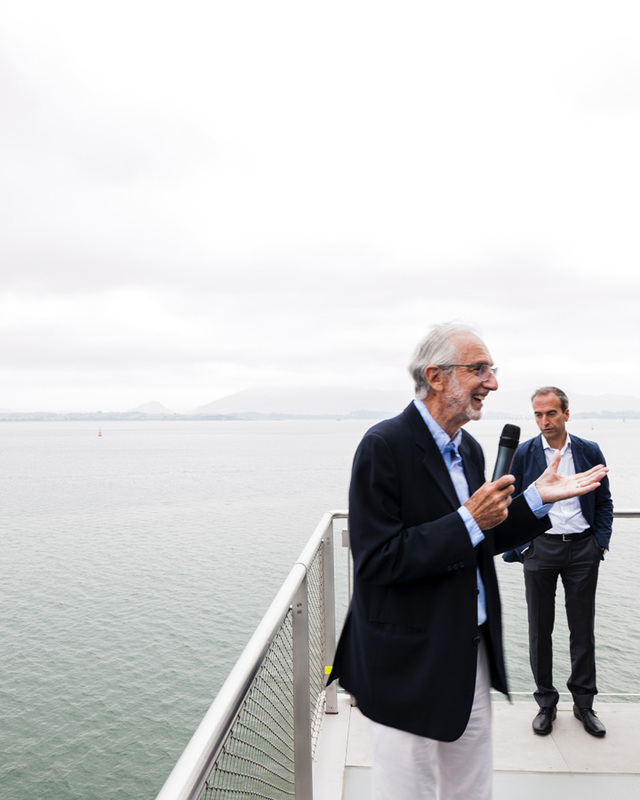 Renzo Piano explains the project to the press. Centro Botín, Santander, Spain. Architect: Renzo Piano Building Workshop , 2017. Exterior view from one of the platfroms with cityscape beyond. Centro Botín, Santander, Spain. Architect: Renzo Piano Building Workshop , 2017.